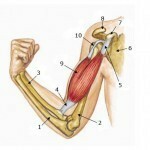 Elbow pain is often associated with strain of the elbows and the arms. People normally experience elbow pain after activities that involve using their elbows after a day of scrubbing windows, operating manual screw drivers or playing sports such as tennis or golf. Since elbow pain is a normal sensation after a day of strenuous activity involving the arms, one should know about the basics of elbow pain. Elbow pain symptoms involve a painful sensation to the joint when moving, folding or event when not in motion. Elbow pain causes often include tendonitis, golfer’s elbow, fractures, sprains and arthritis. Tendonitis is caused by strenuous activities that involve the repetitive use of the upper/lower arm and elbow, such as hitting tennis rackets and scrubbing floors and windows. The pain is often associated with the outer elbow, and the pain can be dull or sharp depending on the impact of the activity. Golfer’s elbow is also caused by repetitive use of the elbows and the left and right arms, but the main is often felt in the inner elbow. The pain can also be mild to stabbing, especially when the arms are folded hard. Fractures and sprains are also elbow pain causes, especially arm injury can greatly affect the condition of the elbow. Arthritis is the chronic pain experienced in the elbow and is most commonly associated with swelling, thus impeding the movement of the elbow. 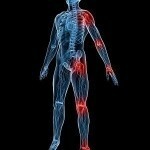 Elbow pain diagnosis and relief is often based on the severity and cause of the pain. Severe pain after a day of activity is usually tendonitis or golfer’s elbow, and is expected to wane after resting the elbow and applying ice on the affected area, as a form of elbow pain relief. When the cause of the pain is a history of arthritis, then the pain is associated with chronic elbow pain, and antibiotics or injections are often the treatments for this diagnosis. However, if the pain is not caused by repetitive activity and the pain is unbearable for a prolonged, it is best to consult a doctor’s diagnosis before proceeding to any type of treatment. The most common home treatment is often ice for 15 minutes for every hour of the first day. 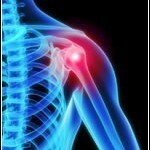 Gradually reduce the use of ice but always continue resting the elbow. It is best not to return to the activity that caused the elbow pain within three weeks, because the muscles and the joint would need ample time to recuperate and strengthen. Serious medical attention for elbow pain relief is needed when the injury is directed to the elbow, there is physical deformity, the pain is still present after home treatment, there is fever and swelling and when a tingling or shooting sensation is felt when moving the elbow. Children who experience elbow pain should also be consulted by a physician.